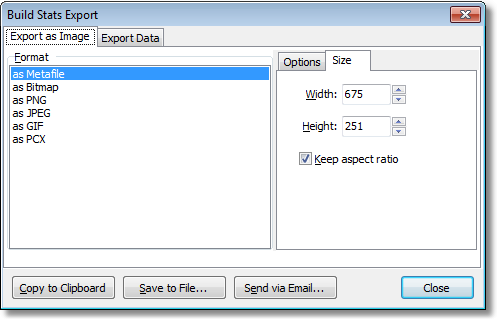 To export the build statistics as a chart or raw data, click the Export Graph button on the Build Stats tab. 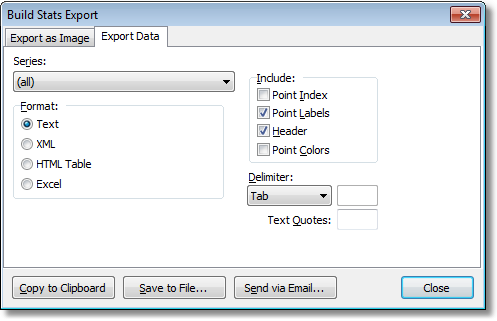 There are two main options for exporting, either the chart as an image, or the raw data. For each image format, there are different options which can be set via the Options and Size tabs on the right hand side.